E-A-T stands for expertise, authoritativeness and trustworthiness if any website lacks of these three qualities they should be awarded the Low rating when a page or site is being assigned a rating by one of their quality raters. For webmasters, this is going to be crucial that you must establish your writers as authorities or experts in your field and should be using . You want people to trust your site – not to mention Google is clearly emphasizing the role of authority and expertise in websites already, so going the next step further definitely isn’t surprising in the least. Google started using their knowledge graphs to let searchers find out relevant information . The example below shows that if searcher input only Rio Google clearly state that what specific thing co-relate with the term . This could be good news for searcher but surely not for webmasters . 3. Using too many ads on web page would be awarded low quality. The new guidelines states that over used advertising sections in web page are not allowed . Google specifically mentions layouts that are all advertising at the top, and requires scrolling to see the content – to the point where people could initially believe that there is no content on the page at all. The same for advertising designed to look like navigation links or secondary content. Google wants raters to determine not only the expertise of the site itself, but also who are participating in the particular thread that is being rated. Also considered are whether new threads being added, if many people participating and whether the conversations are in-depth? While many of us think of Q&A sites as low quality with crappy content, there are some gems out there, so Google does warn not to assume all Q&A sites are low quality. Q&A page only to discover there is no answer posted yet, even for questions asked years ago, or the answer is hidden behind a popup of any kind of paid subscription. Google would considers such without the answer pages given are Low quality.Have you notice that Yahoo answers assign specific time limit for particular question to be answered. After that grace period the question removed automatically . They did mention this previously in the older version of the guidelines, but they removed the part stating that unhelpful answers should be given a Low quality rating – hopefully they removed it because it is common sense that an unhelpful answer is bad. Website reputation has been given a boost in the new version of the guide, and it is clear that Google is putting a greater emphasis on reputation than they did before. More importantly, Google says that good reputation of a certain website enough of a reason for a rater to give any page a high quality rating. 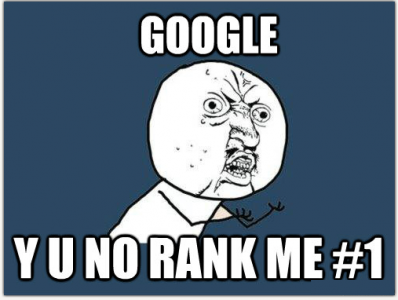 Of course, webmasters have to consider that reputation is going to be given a boost in the search algorithm too, since Google is clearly wanting their rater’s to take this into a fairly significant account for rating any website. All reference to spam has been removed from the new guide. Previously there were sections describing spam and how to check for it, but in the new guide, the only reference to spam is in regards to sites with a large amount of spam comments or forums that have been spammed. 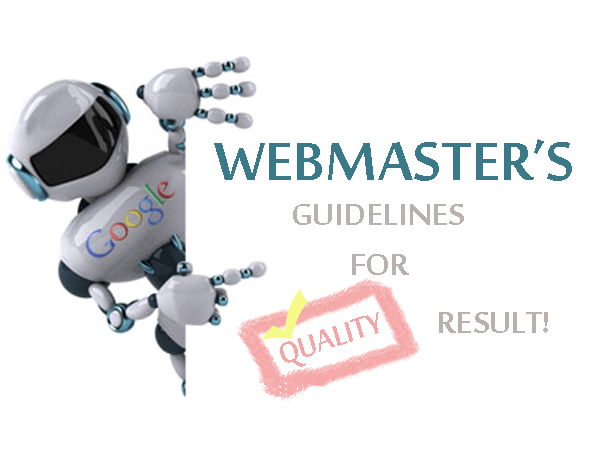 A new mention in the latest guide is a mention that webmasters read these guidelines and include information specifically to influence quality raters. It was mentioned specifically in the section regarding a website’s reputation.